What is self-confidence? 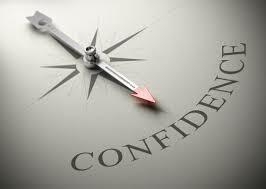 When you feel you are self confident? lets discuss on this today. By sharing thoughts I am gradually becoming more confident! It helps you to reach your goal automatically.After a long time I started writing again. It’s not just satisfying yourself, when you notice that your creativity reaches throughout the globe, people are talking about yourself, the feeling is really great. Isn’t it? If you stick with the positive approach towards life’s ups and downs.But it’s not the end. If you love yourself and do whatever you like to do most it will definitely increase your self-confidence.Feel special always.That is the best medicine you only have.Once you start feeling confidence magic starts happening in your life. You could realize everything is falling in the right place how you want to. Your self-confidence lights you towards your destination. At first, you have to learn to handle your failures. When you start thinking your mistakes as a learning experience and can able to go with the positive flow you can start achieving and can able to make you stronger. How to build self-esteem and self-confidence in you? There is no quick remedy for this. We can’t build self-confidence and self-esteem in few minutes.You have to create it in yourself by controlling your mind and thinking towards everything happening in your life. Think what you already achieve and what all are there to achieve. What all are your strength? think about it and use it whenever requires. If you follow these points nobody can stop you to reach your success! Which blood type do you possess? A, B and O may be on everybody’s lips and medical documents but let us get a wider perspective on the system of blood classification that concerns the life giving fluid. 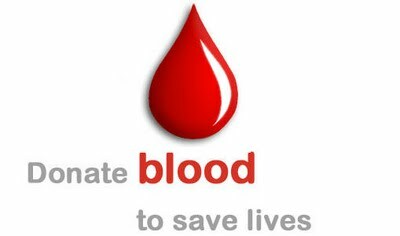 Each adult possesses 6 pints of it and medical science has developed the system of transfusions to save countless lives across the globe. What are the factors that determine blood types? How is it decided? Is it inherited or otherwise? Like many other aspects of our lives and existence, the different blood types are a perpetual mystery though we talk about them all the time and particularly in those dreaded moments. Different blood types are often commonly referred to as blood groups. The classification derives from the red blood cells on the surface of which is found inherited antigenic materials. Depending upon the blood type, these substances could occur in the form of proteins or carbohydrates, glycoproteins or glycolipids. Both parents contribute to the blood type. Internationally, as many as 33 blood groups are accepted. Every child has heard the most common ABO and the RhD antigen. The combination of a letter with the plus or minus sign indicates the presence or absence of the RhD status. That may come as a surprise because we had imagined that essentially blood is the same. That is true in the sense that the blood of a white, black or yellow individual would all contain RBCs, platelets and plasma with their different constituents. 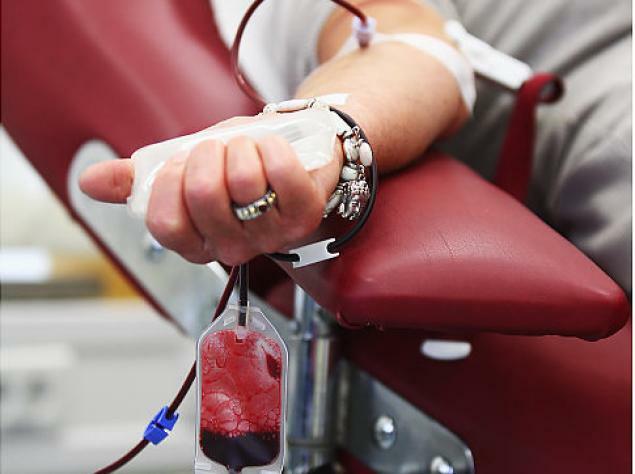 Yet some little aspects differ and the knowledge would help when it comes to blood transfusions that could save lives in emergencies. The four major different blood types are indicated by the presence or absence of antigens and antibodies. Group A possesses the A antigen on the red cells and B antibody in plasma. Group B has B antigen on red cells and A antibody in the plasma. Group AB possesses both A and B antigens on red cells and neither antibody in plasma. Group O has neither antigen on red cells but both A and B antibodies are present on the plasma. Group O referred to as the universal donor can donate RBCs to any blood group. Group A donates RBCs to both A and AB. Similarly, Group B donates to B and AB. Group AB can donate to ABs and receives from any group! While it may all sound rather mysterious, medical facts cannot be denied. What would happen if mismatching blood is transfused? An immune response would occur to attack the mismatched blood as if they were aliens. If we consider the universal prevalence of the eight different blood types , O+, A+ and B+ are the most commonly found across the different racial groups. For the distribution of O+, Caucasians have 37%, African American 47%, Hispanic 53% and Asians have 30%. The A+ distribution includes 33% of Caucasians, 24% of African American, 29% of Hispanics and 27% of Asians. The B+ type is found in 9% of Caucasians, 18% of African American, 9% of Hispanics and 25% of Asians. The other four chief groups comprising of O-, A-, B- and AB- have comparatively lesser distribution across all the major racial groups, mostly in single digits or in decimal fractions. Yet all is not so simple either with the different blood types! Some rare blood does exist like the Oh in Bombay, India which is found in one in 7600 people in Bombay, also called Mumbai. The blood group is absent in other parts of the country. A rare blood group is found in 1 in 1000 people. Would you expect a pregnant woman to carry a fetus with a different blood group? It happens and the mother forms antibodies that is sometimes lethal for the fetus. Though one would be expected to have the same blood group through life, the blood group sometimes changes because of disease. Finally, certain blood types are associated with particular disease.